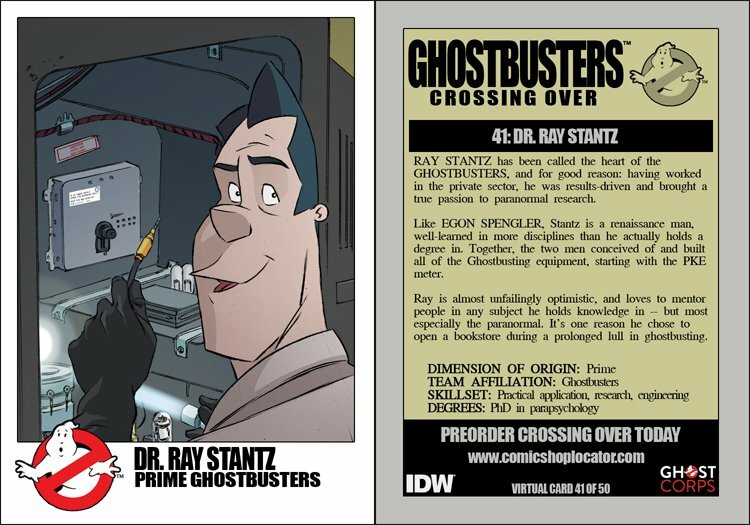 RAY STANTZ has been called the heart of the GHOSTBUSTERS, and for good reason: having worked in the private sector, he was results-driven and brought a true passion to paranormal research. Like EGON SPENGLER, Stantz is a renaissance man, well-learned in more disciplines than he actually holds a degree in. Together, the two men conceived of and built all of the Ghostbusting equipment, starting with the PKE meter. Ray is almost unfailingly optimistic, and loves to mentor people in any subject he holds knowledge in -- but most especially the paranormal. It's one reason he chose to open a bookstore during a prolonged lull in ghostbusting.